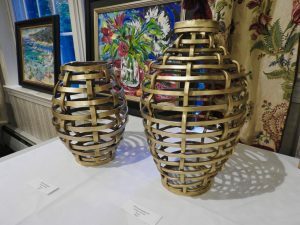 The Light of Provence recently came to The Greens at Greenwich with an Art Exhibition and Presentation featuring recent works by Jill Steenhuis and Sergio Ruffato. 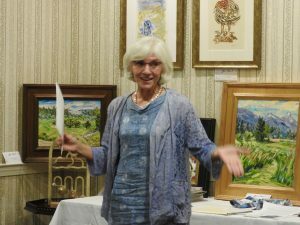 Jill is an Atlanta native and has lived in Aix-en-Provence, France since 1980 painting the landscapes of Provence. 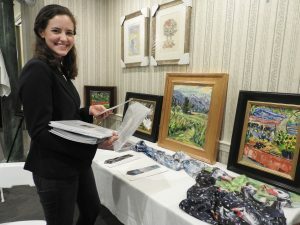 Her work has been exhibited in major American cities as well as Aix-en-Provence and Paris. Sergio Ruffato, Jill’s son, is a Franco-American artist born and raised in Aix en Provence. 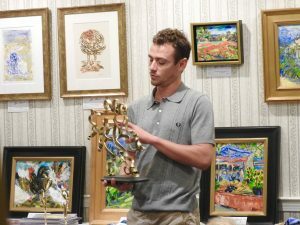 His metal sculptures are beauty in movement through the manipulation of metal. 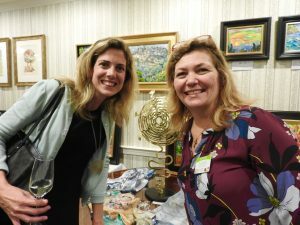 Serendipity played into the colorful evening as Greenwich resident, Lois de la Haba met Jill in Aix en Provence earlier this year. 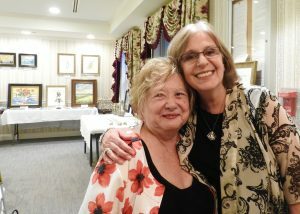 Their connection and Lois recent loss brought them together and resulted in The Light of Provence Comes to The Greens as an honor to Joseph Greco, Lois’ husband who passed away earlier this year. 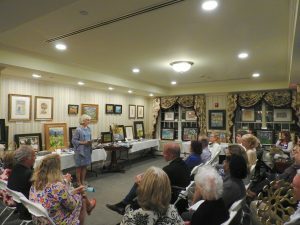 Joining The Greens in partnership was the Alzheimer’s Association/Connecticut Chapter. 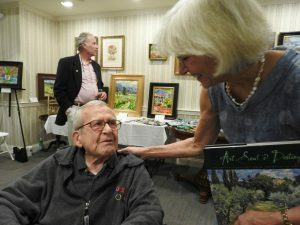 Attendees at the event included residents, friends and family of The Greens and the community as well as some of Jill’s Sweet Brier classmates, Lois de la Haba’s friends and several people who have visited Jill in Aix-en-Provence. Delightful appetizers prepared by The Greens Chef Michael were enjoyed by guests along with prosecco. A portion of the sale proceeds went to the Alzheimer’s Association. Learn more about Jill Steenhuis and Sergio Ruffato.